I’ll admit that I struggle to find ways to prepare cabbage, both green and red. I find my creativity stunted, and have no idea what to do with it. My husband recently harvested three heads of cabbage from our garden, forcing me to come up with something new and interesting. I was recently introduced to this recipe, and love that it can take on a different flavor and color depending on what kind of cabbage or apple you use, and is a nice accompaniment to most dishes (especially pork chops). It also went well with The Farm Table thyme that came in the Garden Box several weeks ago. I suggest you file this one away for the holidays – you can make it in a deep pink/purple or green. Approximately 3-4 tart apples (I suggest pairing Granny Smith apples with green cabbage, and Pink Lady apples with Red Cabbage). Melt the butter over medium heat in a large frying pan. 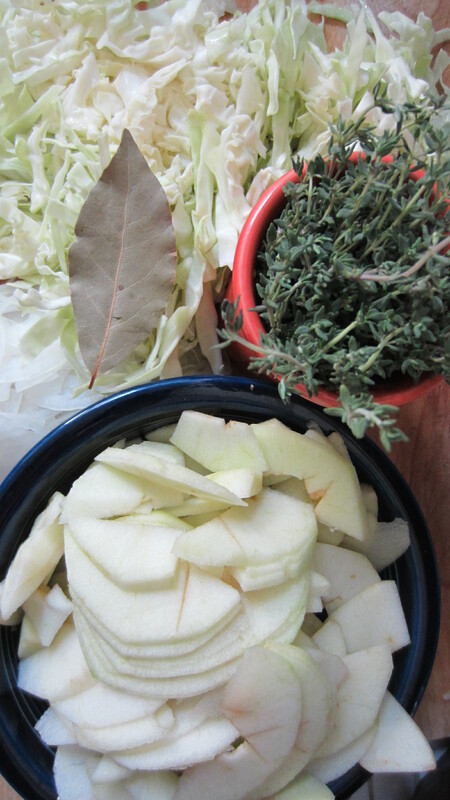 Add the onions, apples, thyme, and bay leaf. Add the cabbage, broth, and season with salt. Reduce the heat to medium, and cover. 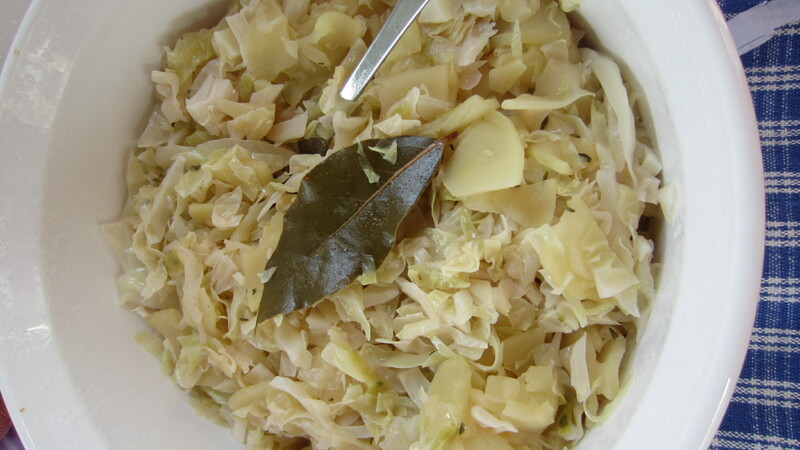 Cook, stirring often, until the cabbage is tender, about 15-20 minutes. Serve right away or cover and keep warm.